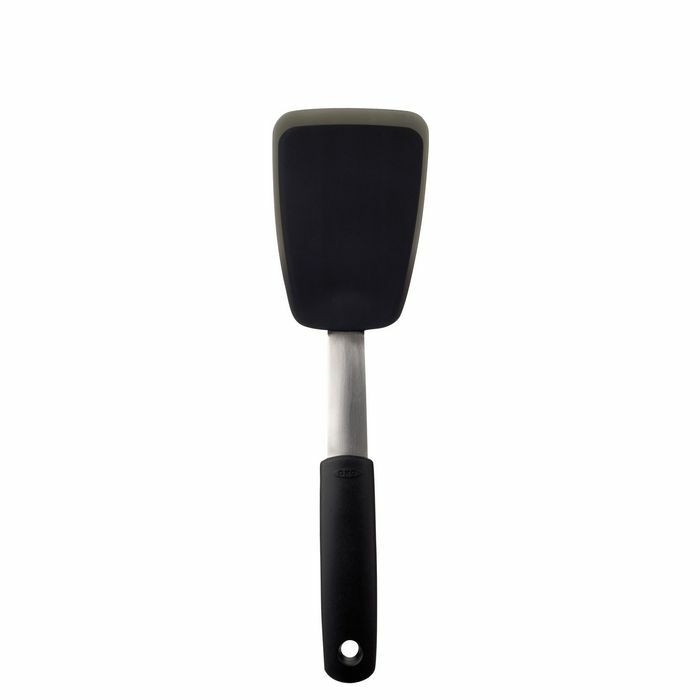 The OXO Good Grips Silicone Flexible Turner combines the strength of stainless steel with the advantages of silicone. The silicone outer layer, which is heat resistant to 315°C and safe for non-stick cookware, is bonded to a flexible stainless steel core for added stability. The Turner has thin, flexible edges that glide easily beneath all foods and are perfect for flipping fragile foods while keeping them intact. For example use the Silicone Flexible Turner to lift cookies from a cookie sheet without breaking them. The Silicone Flexible Turner has a soft, comfortable, non-slip grip and is the perfect companion to non-stick cookware and bakeware. Size: 28,5 x 8 x 8,5 cm.